Thread: HELP......is Mary's Plate dying???? For the past CPL days Mary has noticed more and more skeleton showing.....is her plate dying? Or is this normal? Hard to tell. 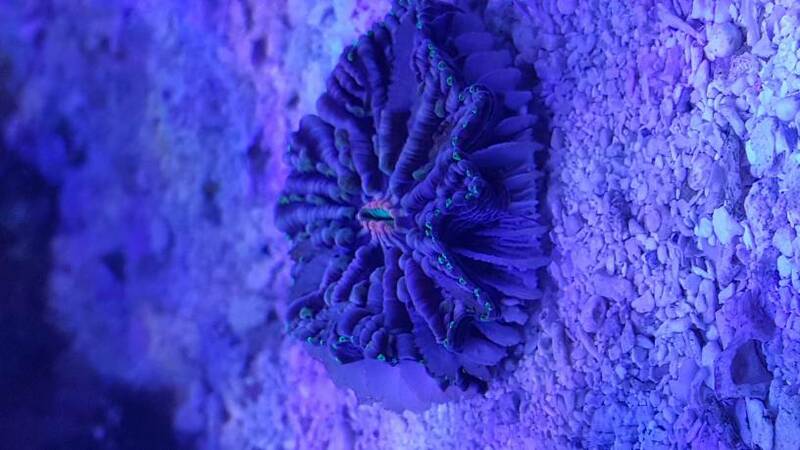 Usually when a coral starts to receed they are a goner. But I have seen plates do this and end up popping out several babies. Just keep an eye on it and don't toss it if it looks dead.